Karen Anderson is an Adjunct Professor in the Master of Arts Teacher Education program at the USC Rossier School of Education. She attended Northwestern University and received a Master of Arts in Education as well as her California Bilingual (Spanish) Teaching credential from the University of Southan California. Since then, she has worked closely with Dr. Sandra Kaplan in her work in Gifted Education. Karen has taught teachers, demonstrated lessons and led sessions at conferences and symposiums for LAUSD, LACOE, and CAG (California Association for the Gifted). She was a bilingual classroom teacher in the Los Angeles Unified School District and, since receiving her Administrative Credential, is currently serving as the Director of Curriculum and Instruction at Wise School in Los Angeles. 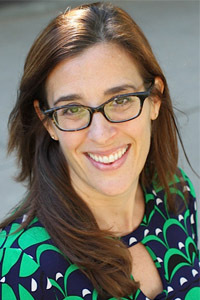 At Wise School, she has facilitated the development of a Gifted Curriculum for all students, Pre K-6th grade that includes connections across the disciplines, critical and creative thinking, independent study, learning to learn, and looking at content through multiple lenses and with depth and complexity. She enjoys working with teachers to integrate strong pedagogical practices to a variety of curriculum across grade levels, making connections between theory and practice.